We have in stock a large variety of Aluminum Cargo Trailers. Snowmobile trailers, aluminum cargo trailers, even single place motorcycle trailers. Aluminum trailers are the pinnacle of the towing industry, and we are pleased to stock what you need to tow any of the above. "With the rising fuel prices and increased consumer education with regard to quality and durability, aluminum cargo trailers have become the trailers of choice in the towing industry. We carry the Aluma, High Country, and ATC product lines. 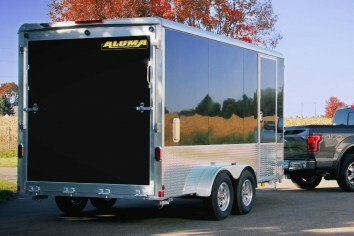 Aluma trailers are all aluminum-welded construction, which means no rust! Aluminum trailers are lighter, as strong as, and more durable than steel. With Aluma's 5 year all inclusive warranty, they beat the competition hands down! Special features on many makes and models make Aluma trailers a great investment. High Country All Aluminum Trailers are designed with superior components to be lightweight yet sturdy and affordably priced. 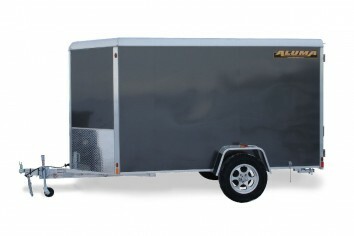 High Country All Aluminum Trailers offers a complete line of enclosed cargo trailers, enclosed motorcycle trailers, enclosed snowmobile trailers and enclosed car haulers. 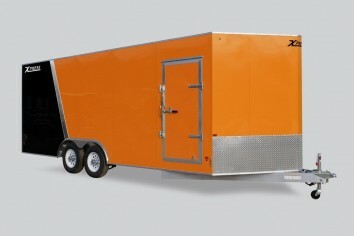 These trailers are customizable with options such as skin, color, side access doors, various lighting packages and flooring. High Country offers a 4-year limited warranty on their 7' and 8' wide trailers. ATC Trailers has been building high quality car, cargo and custom trailers in the industry for the last 15 years. Their dedication to fit and finish each trailer to each of their customers needs is what sets them apart from the competition. ATC offers a 3-year limited warranty along with a 5-year structural warranty. High quality aluminum trailers have a track record of longevity. There is no danger of purchasing aluminum trailers only to have them fail a short time later. 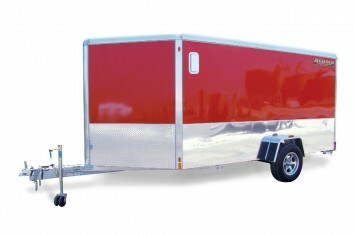 You can depend on aluminum trailers to get the job done and get it done right. Our extensive inventory of aluminum enclosed trailers is sure to meet your needs. "